The NASA space shuttle program ends with the July 2011 landing of Atlantis. The 50th anniversary of Dr. Martin Luther King’s “I Have a Dream” speech drew 100,000 visitors to the National Mall in Washington, D.C. The first licenses for cars without drivers were granted in the state of Nevada to Google. Scientists at Cornell University grew a living ear using a 3D printer and cell cultures. The five years preceding Hawken’s Centennial Celebration marked a period of extraordinary growth in facilities and programming. 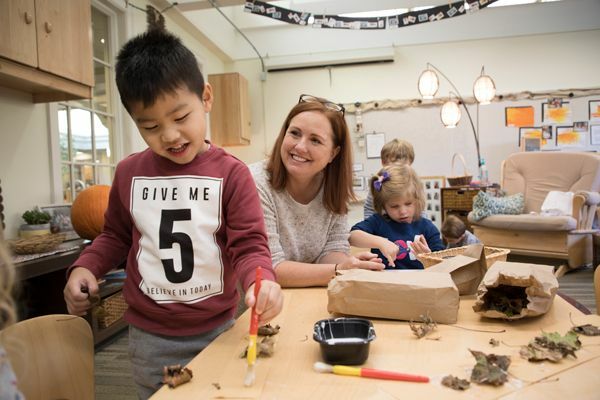 The Sally & Bob Gries Center for Experiential Learning opened in August of 2010 and was followed one year later by the Grand Opening of the Early Childhood Center. In February of 2012, Hurwitz Hall was announced in response to a need for increased classroom space to meet increased enrollment demand and accommodate curriculum needs. The next building project was announced in December of 2013 after Hawken received its largest individual gift in the history of the School: an $8 million commitment in the form of a challenge grant from the Kelvin and Eleanor Smith Foundation to support a project that would result in the renovation, expansion, and construction of a new Upper School academic building to be named Stirn hall in honor of Howard and Cara Stirn. In addition to reaching record enrollment each year during this time period, Hawken students garnered impressive recognition in Merit Scholarships, Debate, STEMM, Academic Challenge, Power of the Pen, Mathcounts, and Knowledge Master. In athletics, many teams advanced to district, regional and state competitions. Student artists also continued to receive notable recognition, winning numerous Gold Key and Silver Key writing and art awards.